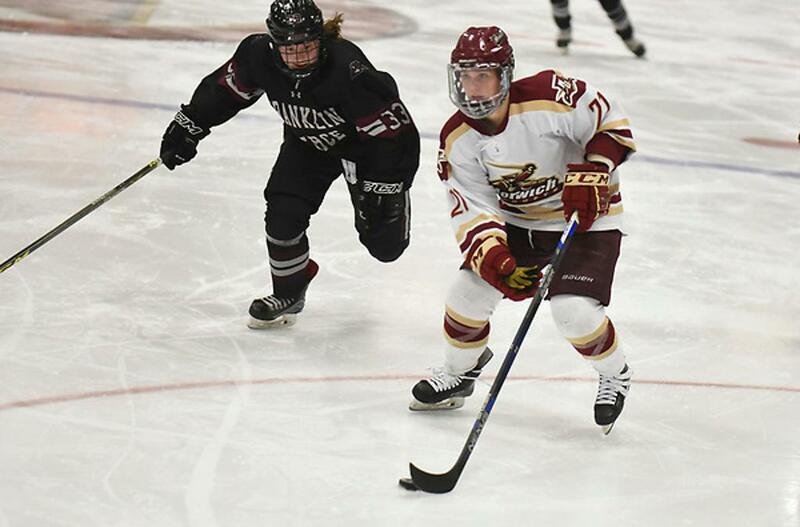 August 16, 2018– The Connecticut Whale have signed outstanding all-zone center Sarah Schwenzfeier, who averaged a point per game over her four-year career at Norwich University. Schwenzfeier scored 34 goals over her last two seasons and was 54-67-121 in 119 games at Norwich between 2014-2018. She will undoubtedly play an important role in Whale head coach Ryan Equale’s system in her rookie season. “I wanted to join the NWHL to continue to play the sport that has allowed me so many opportunities in life, and to hopefully inspire young girls to follow their dreams,” said Schwenzfeier. Prior to Norwich, Schwenzfeier played three years at Hingham High – including a state title in her sophomore year – and at Tabor Academy.